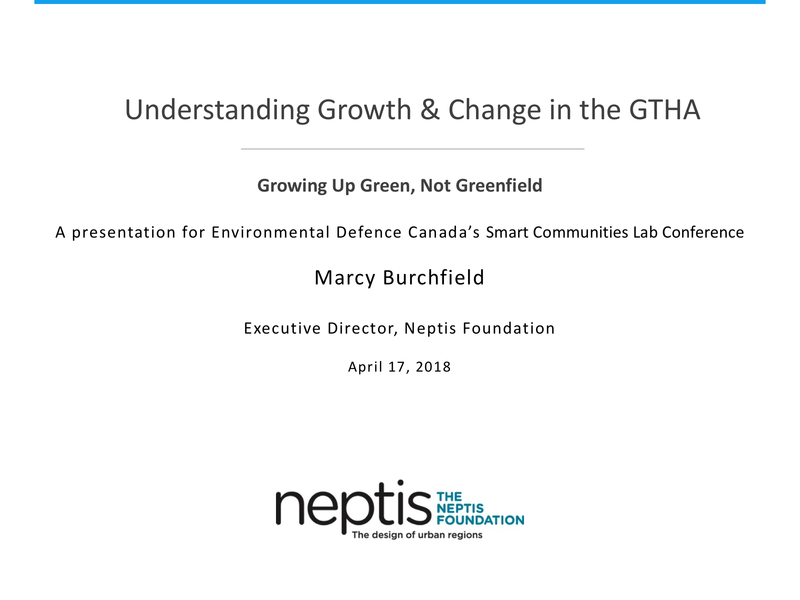 Marcy Burchfield, Executive Director of the Neptis Foundation was recently asked to moderate a panel (Growing up Green, Not Greenfield) at Environmental Defence Canada's Smart Communities Lab Conference. 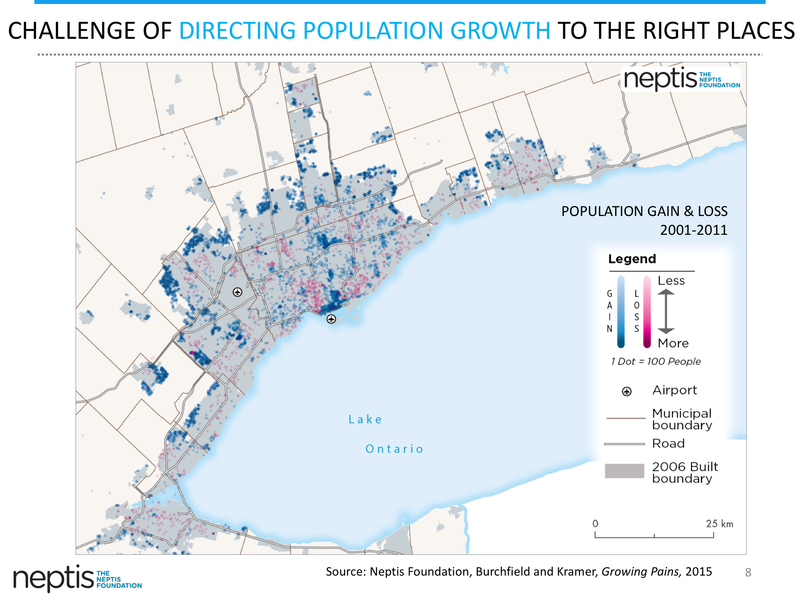 The panel was made up of Urban Designer and Author, Ken Greenberg; Daniel Fusca of Toronto City Planning and Steve Dulmage of Urban Equation. 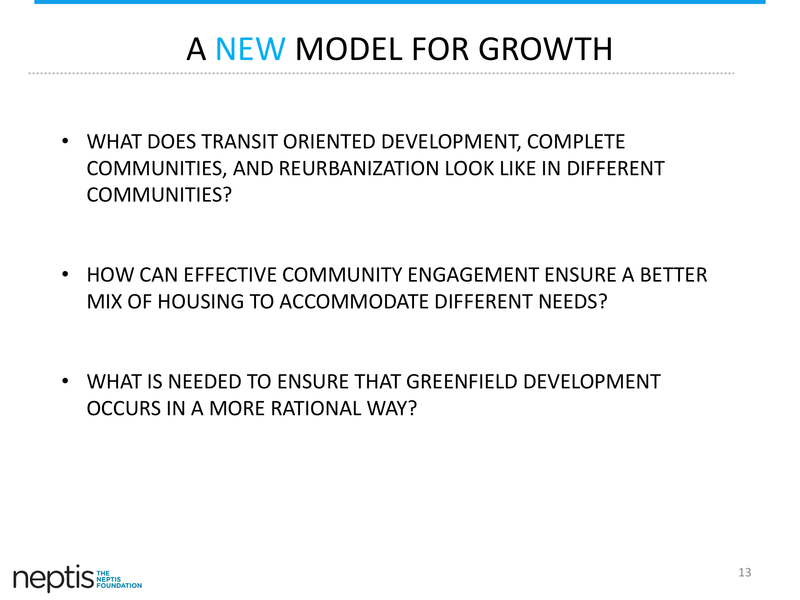 The panel spoke to their experience of creative and effective community engagement. 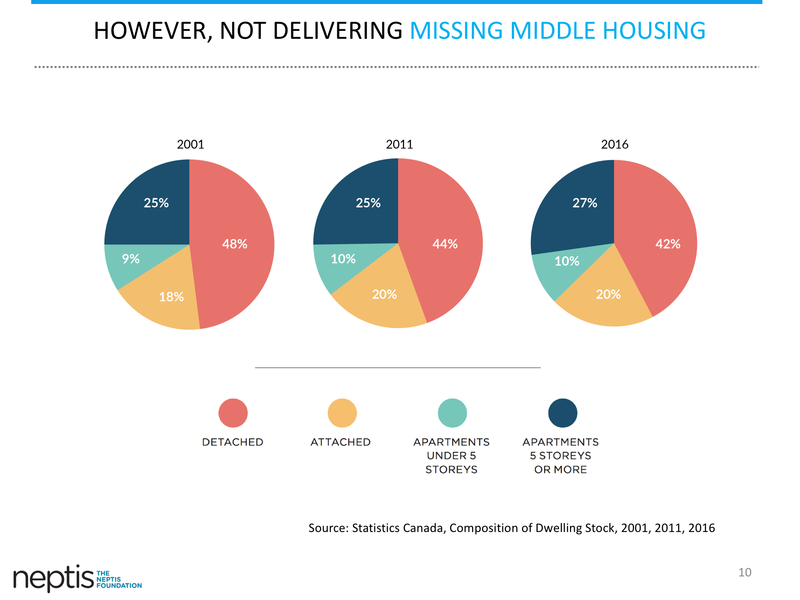 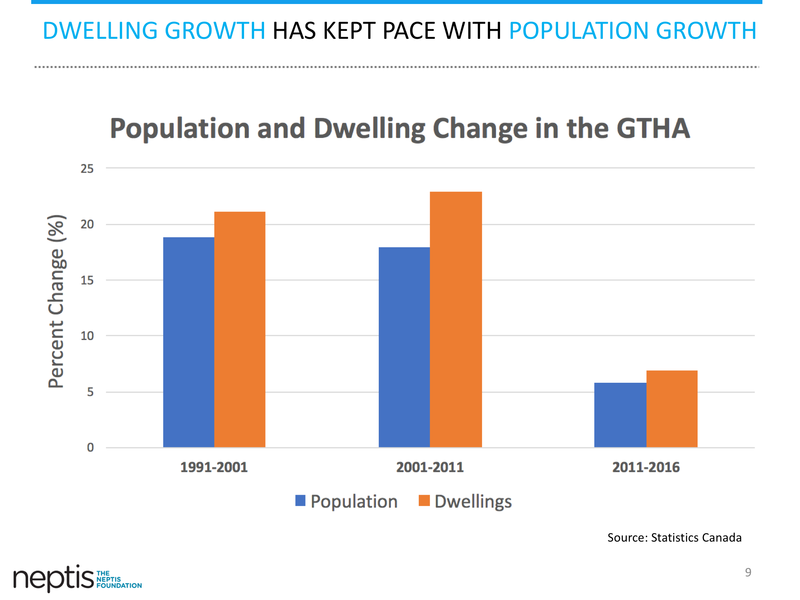 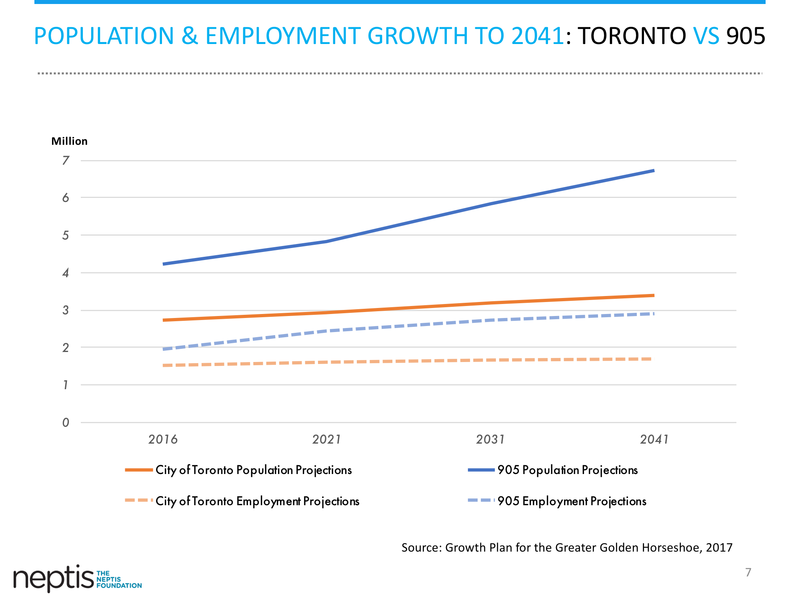 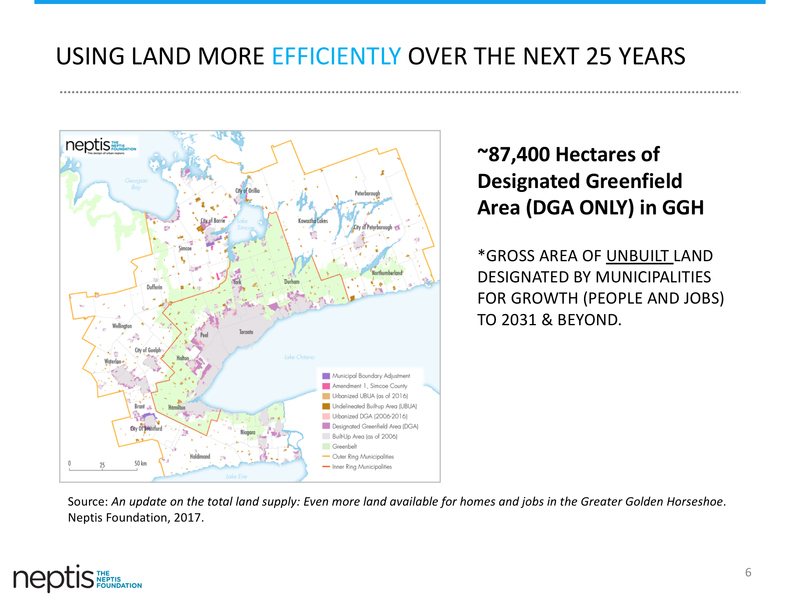 Before the panel discussion, Burchfield gave a presentation titled Understanding Growth & Change in the GTHA. 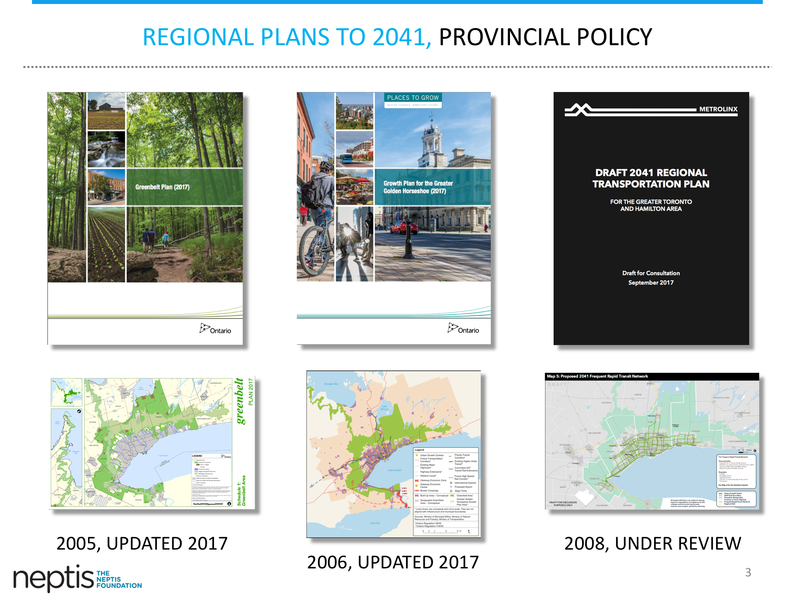 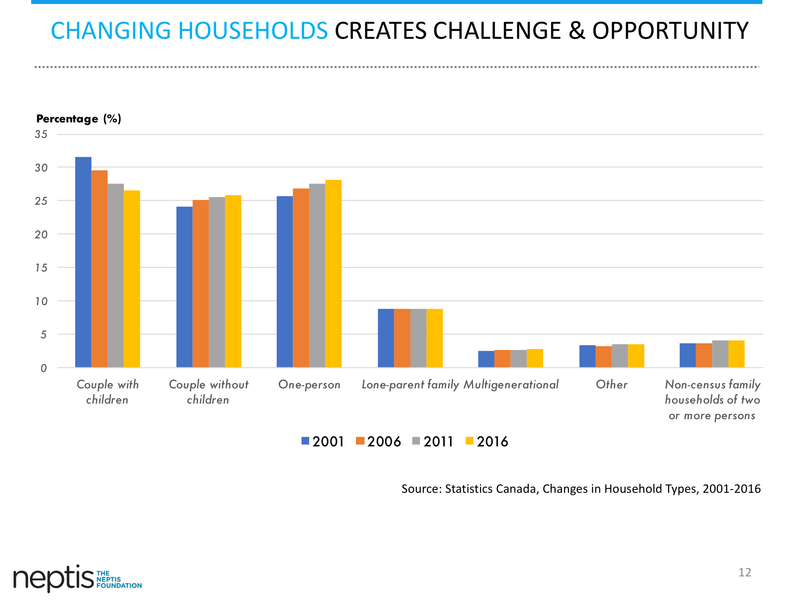 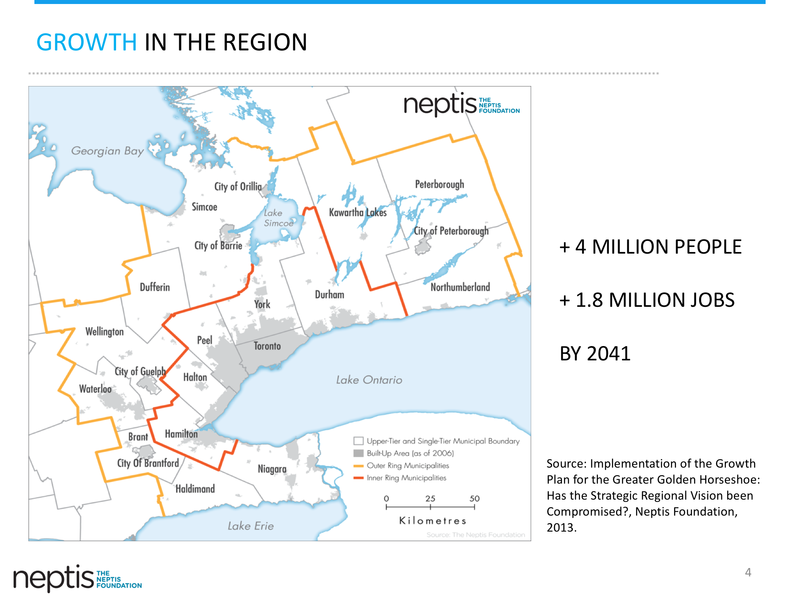 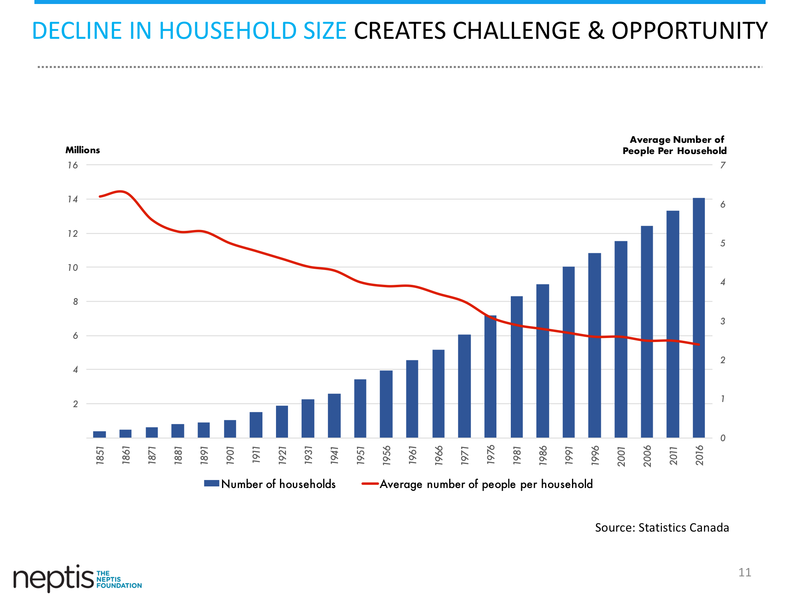 The presentation, which we have posted below, provided an overview of Neptis research and the current context for long-range regional plans, demographic trends, and historical growth patterns that form the backdrop for the region's transition to a new model of growth.